Confined since age 15 in Surrey’s Earlswood Asylum, autistic savant James Henry Pullen spent seven years building a 10-foot replica of the iron steamship Great Eastern. Completed in 1877, it included brass anchors, copper paddles, 13 lifeboats, hundreds of individually molded planks, 5,585 rivets, and more than 1 million wooden pins made in a specially constructed pin mill. The upper deck could be hoisted to reveal state cabins and furniture inside. It’s now on display at the Museum at the Langdon Down Centre in Teddington. 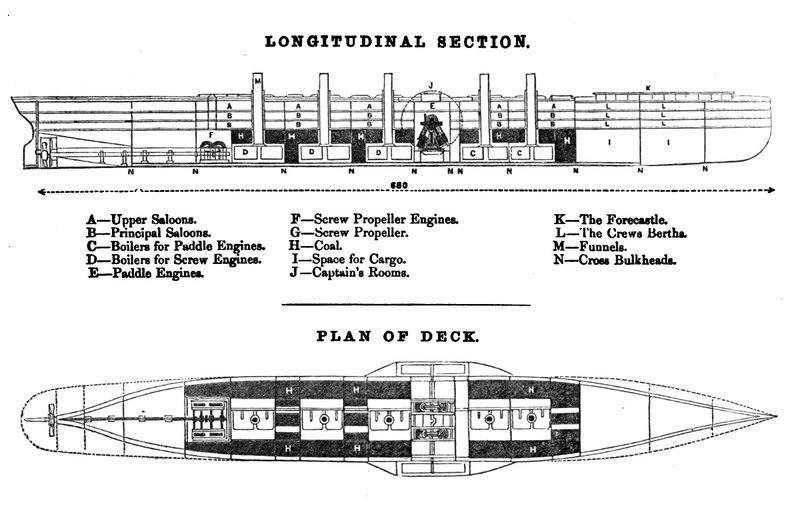 Below is the sectional plan of the actual 692-foot steamship, for comparison.